MOSCOW, April 9. /TASS/. Russia’s Defense Ministry has rejected media reports that Su-57 stealth fighters have been redeployed to Syria, noting that Google maps featured old satellite images of the Hmeymim air base with Russia’s fifth generation fighter jets. Earlier, media outlets published satellite images of the air base in Latakia claiming that Russia’s fighter jets had recently arrived there. 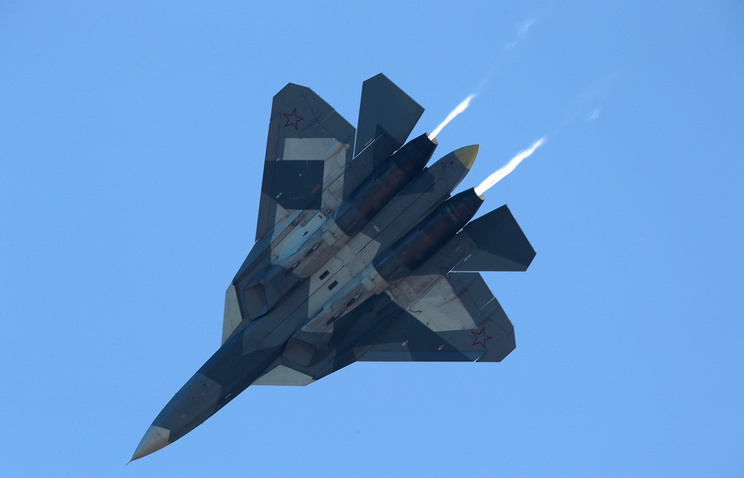 The Su-57 is a fifth-generation stealth fighter designed to destroy all types of air targets, hitting enemy ground and naval targets. The plane’s armament will particularly include hypersonic missiles. Hey Buddy!, I found this information for you: "Russian top brass refutes reports on redeploying Su-57 fighter jets to Syria". Here is the website link: https://russophile.org/russian-top-brass-refutes-reports-on-redeploying-su-57-fighter-jets-to-syria/. Thank you.